Are you looking for a company based in South Africa that do VR Headset Rentals? If so then you are on the right website. Our company is the most experienced company in South Africa when it comes to virtual reality rentals and activation’s. 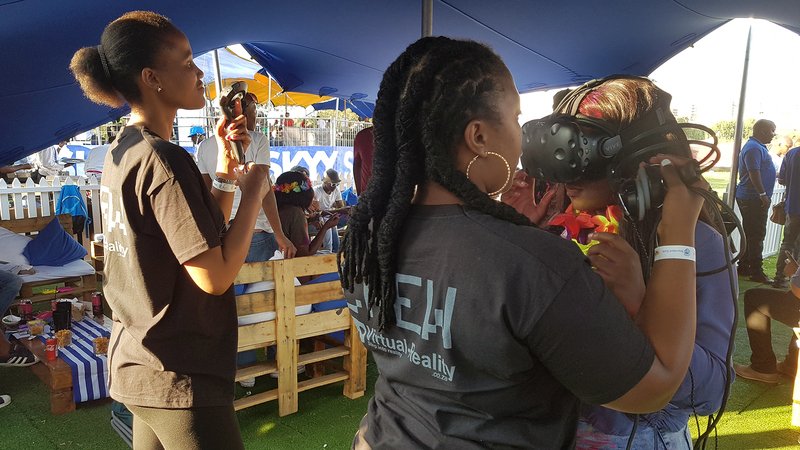 We have done hundreds of activation’s already and almost weekly we rent out VR devices to clients in South Africa. We are one of only a handful of Virtual Reality Rental companies that rent out complete high-end virtual reality headsets and computers. We own 10 HTC Vive units that we rent out to companies specifically for activations, events and teambuilding days. The HTC Vive is a high-end virtual reality device and in our opinion the Best Commercially readily available headset. The HTC Vive is room-scale VR, which means that your movements are being tracked in VR. The HTC Vive offers many exciting existing games that clients can enjoy when playing in the VIVE. Our sister company virtual reality also develop VR Games and VR Brand experiences for the HTC Vive Rental. They have developed games for ABSA, DSTV and The Laughing Cow to name a few. The HTC VIVE is one of the best VR experiences and VR devices that you can rent! Customers love the VR experience that the HTC VIVE provides and it is likely that your customers will spread the awesome experience with your brand and true high end VR via word of mouth, telling others how awesome the experience was. The HTC Vive needs +/- 3m x 3m to setup. The Samsung Gear VR Headset Rental is the Rolls-Royce of Mobile Virtual Reality headsets. The Samsung Gear VR Headsets works with a Samsung S-Series smartphone, usually the Samsung S6, Samsung S7 or the Samsung S8. We currently offer the Samsung S7 + Samsung Gear VR Headset to rent. Now Mobile Virtual Reality is considered the “Entry Level of Virtual Reality” and the experience is not as good as what you will get from a high-end virtual reality device like the HTC Vive or the Oculus Rift. However, the Samsung Gear VR Headset in combination with a Smartphone currently offers the best mobile VR Experience. We can also assist you with custom content for your activation or event, we develop custom virtual reality content and also do 360° video production. If you are looking for commercially available content to display during your activation or event we can also source these for you. 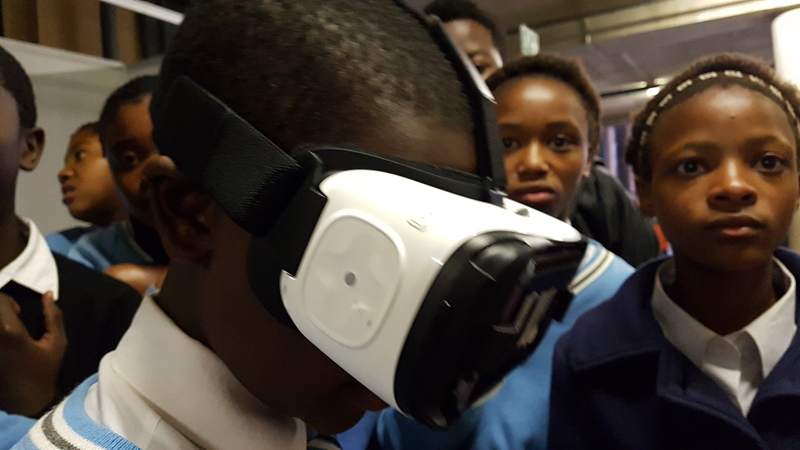 For More information on Virtual Reality Headset Rentals please contact Gerald Ferreira at +27 72 234 7513 or Ronel Ferreira at 072 972 2724.